This weekend I had some extra time so I decided to get back to my old hobby of trying new Linux distributions. I stopped using Linux altogether because on my previous jobs I had to work on Windows. My new job gives me the freedom to use whatever operating system I like. So yesterday, I installed Ubuntu 12.04. The installation was smooth like always, Ubuntu correctly detected all the hardware and installed drivers for them. With in less than an hour I was on the beautiful Ubuntu desktop. I am not a fan of Ubuntu’s unity interface. I didn’t like the dasher as it occupied lots of screen space. I think user interface designers should understand that people read right to left so a menu bar on right is very distracting for people who mostly work on the web. People like me, don’t really need a menu that big. I tried to auto-hide dasher which worked but it was not that sensitive to the pointer. I also hated that in this open source operating system, my desktop search feature is showing me results for paid apps. After trying Ubuntu for a while, I decided that I don’t like it. I decided to try Debian and instead of stable I went for testing version of Debian Wheezy which is the next Debian release. 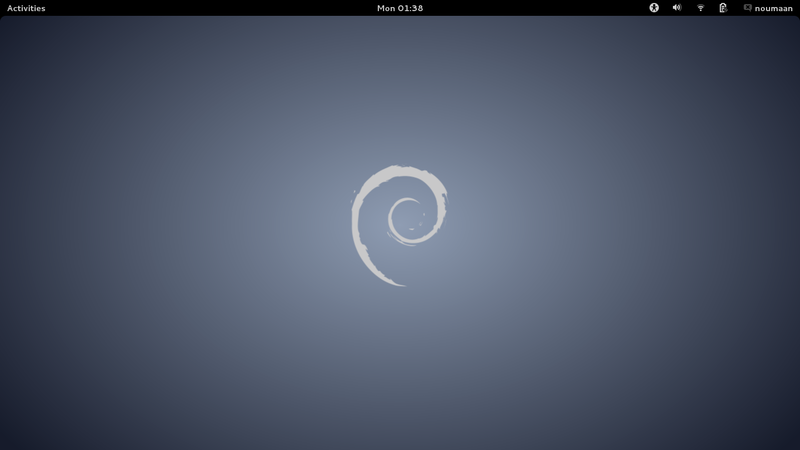 Debian has recently announced release candidate 1 for Wheezy which means it is pretty stable now. I downloaded the DVD image and burned it. Like always, Debian installer was quick, smooth and ugly. It is very ugly, and if you didn’t know Debian you would feel that you are installing an ancient operating system. It works very nicely and its pretty straight forward but I think they should improve its looks before the final release. During the installation Debian Installer detected my network and informed me that it does not have drivers for my Realtek wireless adapter but since I was installing from DVD the installation continued without network connection. After the installation when I logged on to Debian desktop my first impression was, wow! 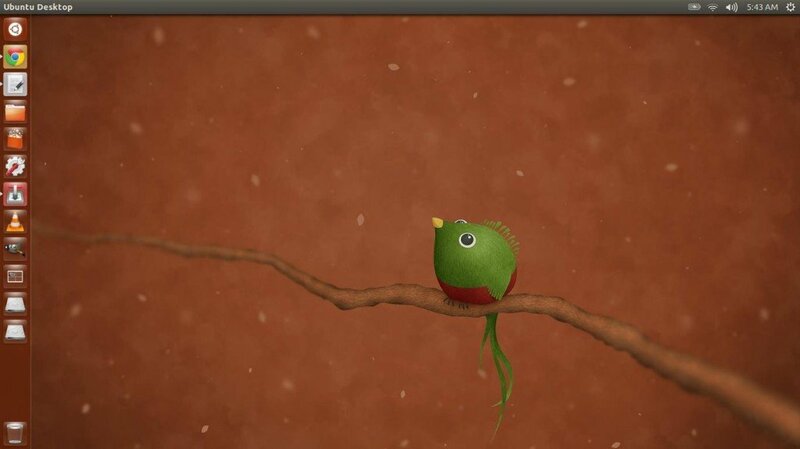 Debian Wheezy uses Gnome 3 and it looks very pretty. Prettier than Ubuntu and if you are like me and like simpler interfaces then you would say that it is prettier than Windows 8 too. Debian also has a dasher but it is hidden under Activities button which is like Start button in Windows. Unlike Ubuntu’s dasher, Gnome3 gets out of the way and lets you do whatever you want. There is no link to some cloud based service and there are no unwanted search results in dasher for paid apps. Debian does not want to use your desktop to sell anything. So when you search for an app it shows you the app you are looking for which makes it faster than Ubuntu and Windows 8. Another great thing about Debian is that it comes with more free apps pre-installed than Ubuntu or Windows8. And since Linux apps are usually smaller in size and less resource incentive, these apps don’t take much space and work out of the box. There is Gimp and Inkscape both preinstalled in Debian Wheezy. The only apps I downloaded were Google Chrome and VLC media player. Google Chrome is based on open source software but it is not free software (free as in freedom). So it can not be included into Debian, same goes for Firefox which imposes trademark restrictions and hence is not included into Debian. Debian comes with IceWeasel web browser which is based on Firefox but compliant with GNU philosophy. Overall, I would say that Debian outshines Ubuntu by functionality, openness and stability but thats just my opinion. I will be using Windows 8 and Debian for the time being. I will keep an eye on Ubuntu but I highly doubt that Ubuntu will ever get better again. It will keep getting shinier and glossy but it does not feel free to me any more. You all guys should agree that the fact is ubuntu is a linux based distro which originated from debian . So comparing ubuntu with debian is inappropriate. There is Ubuntu GNOME. I like the ubuntu base just not unity. I installed this and i loved it!. you ger GNOME 3 or GNOME Classic. Try It! Ewan, I recently tried Ubuntu Gnome and loved it. Perhaps the best Gnome implementation I have seen. It was definitely better than Debian Wheezy. okay I would say than I’m agree that Ubuntu doesn’t feel free anymore and all the distributions I’ve test many of them, and I really feel being watched, at the moment I’m using ktorrent for a big file (really big) when it get done I wil try Debian 7.6 KDE or openSUSE I will not come back to Ubuntu’s family ’cause is already spyware. interesting to read your opinion comparing the two distris! While reading I thought you might like the Cinnamon-Desktop of Linux Mint. Though it is an Ubuntu fork I like it very much (I don’t like Ubuntu as well). If you try it, take Mint 14 instead of the newer 15 – according to Ubuntu’s new politics the support is reduced to 9 months. That means Mint 14 will be supported until April 2014, Mint 15 just until January 2014. You can use GLX-Dock (fomerly Cairo-Dock) instead of a Task-Bar. You can easily place it wherever you want it to be. Thanks Sebastian, I will try it soon. I wanted to try Mint for a long time, so many people have recommended it. Guess I should make it my weekend project. There is an option in the Appearance tab in the System Settings on Ubuntu that lets you make the dash hide whenever your mouse isn’t near it. In western languages people are reading from left to right. And the panel is on the left side of the screen. Yes that’s what I don’t like when I am reading left to right that my eyes go to the panel again and again. And since most people don’t actually read on the web or when working on their computers, they just scan and the left part is from where the lines begin So you scan them more carefully to look for headings, start of documents, etc. This does not mean that a panel on right would have been any better. I just feel that panel should get away from my Desktop and only appear when I need it. I know it can be done with the panel, but unfortunately I felt that Ubuntu’s panel was not as responsive or intuitive as I wanted it to be. I am not alone in this feeling a lot of people don’t like Ubuntu’s unity interface. You can install Chromium instead of downloading Chrome, if you wish. Chromium is to Chrome as IceWeasel is to Firefox. @miles I like Google Chrome due to sync features which allow me to work on windows, linux, or even on mobile. lol answer. Chromium uses the same user database as Google Chrome so the moment you login you get the same saved bookmarks/passwords/etc..
Debian made a BIG mistake by supporting Gnome 3… if they had any sense at all… they would have switched to XFCE by default as they originally planned…. I think many gnome fans would disagree with you. 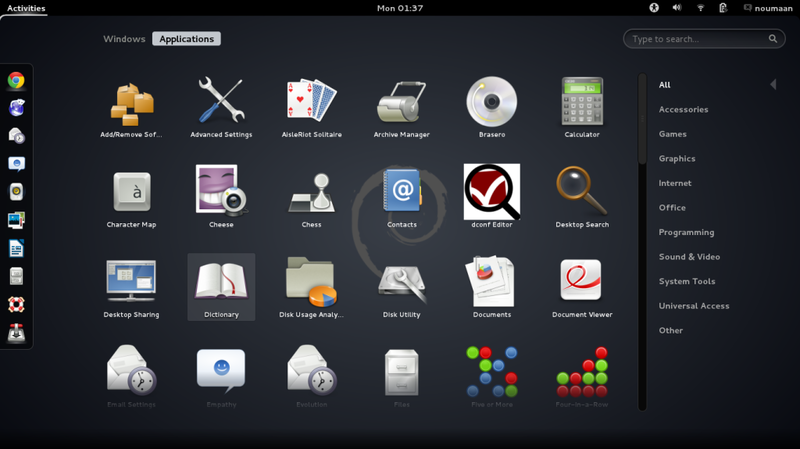 XFCE is good too but gnome has more comprehensive and well integrated collection of applications.